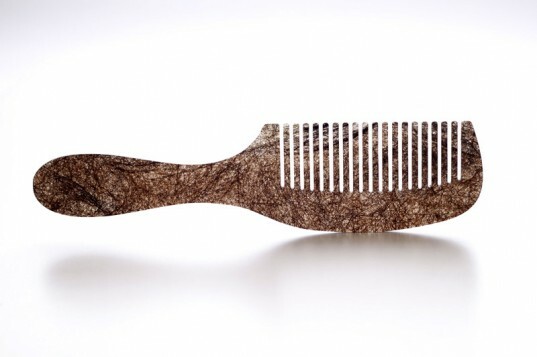 Would You Use a Comb Made from Human Hair? Now here’s a thought that will get your mind into a tangle: Would you comb your hair with another person’s mane? That’s the question Italian designer Giorgia Zanellato sought to answer with “Hairdressed,” a line of hair accessories made from actual human follicles. Zanellato didn’t have to scrounge very hard to find her material—her neighboring hair salons provided sheared locks in abundance. 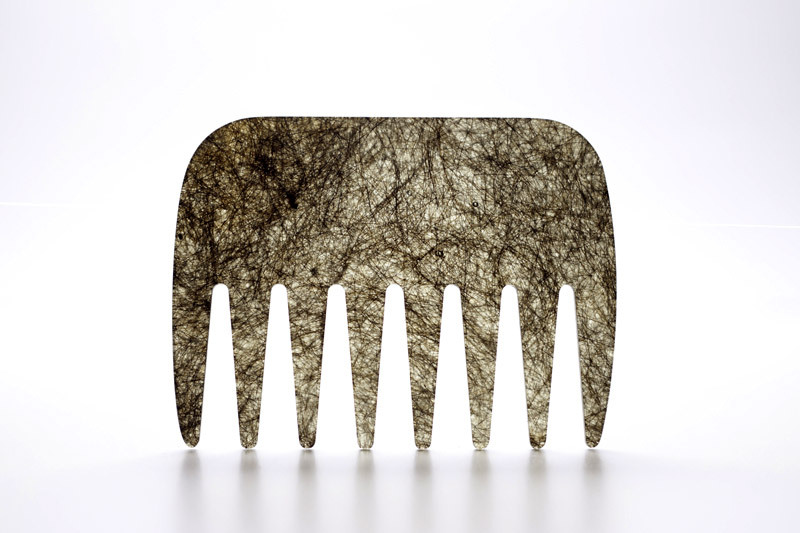 She created her hirsute grooming tools by setting the hair in resin-filled molds, then using a laser-cutter to whip them into shape. Zanellato created her hirsute grooming tools by setting the hair in resin-filled molds. Despite their base beginnings, the resulting pieces are quite beautiful to behold. Most striking are the ones that mingle blonde with brunette tresses. Spied from a distance, the resulting effect resembles the finest tortoiseshell. Now here's a thought that will get your mind into a tangle: Would you comb your hair with another person's mane? That's the question Italian designer Giorgia Zanellato sought to answer with "Hairdressed," a line of hair accessories made from actual human follicles.